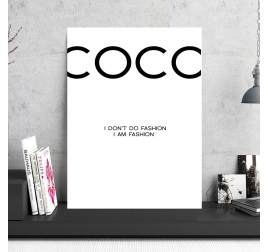 For the aficionados and fashion lovers, this art photo collection is made for you. Coloured, design and contemporary are the keywords of our fashion photos that will give you the best of this off-the-wall and unique world. From the portrait to larger shots this collection in limited edition will bring a particular emotion in your home decoration and will brighten your room. These modern canvases are original. Each artist photo is taken by a professional photographer who tries hard to bring a touch of design to his creation. A beautiful makeup for this artist photo on aluminium. This modern photo is delivered with its attachment system (see photo). Several dimensions possible depending on the size of your wall. Worldwide shipping for this unique aluminum decoration. This art photo shows a scene of everyday life with this bed and clothes. This modern photo is delivered with its attachment system (see photo). Several dimensions possible depending on the size of your wall. Worldwide shipping for this trendy chart. The Japanese tradition in art photography with this Geisha. Several dimensions possible for this trendy wall decoration. This high definition photo is printed on aluminum dibon comes with its attachment system (see photo). Worldwide shipping for this aluminum frame. 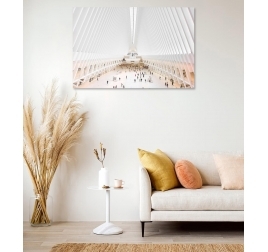 An original architecture in an aluminum art photo. Several dimensions possible for this modern wall decoration. This high definition photo is printed on aluminum dibon comes with its attachment system (see photo). Worldwide shipping for this aluminum frame. An original and quirky photo with this red smoke. Several dimensions possible for this modern wall decoration. This high definition photo is printed on aluminum dibon comes with its attachment system (see photo). Worldwide shipping for this aluminum frame. This fashion art photo is printed on an aluminium support and created by our artist photographers. 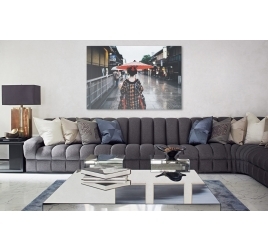 This modern aluminium canvas is a 200-pieces limited series and delivered with its Artwall and Co certificate. An original play on black and white lines enables you to create a fashionable wall decoration. 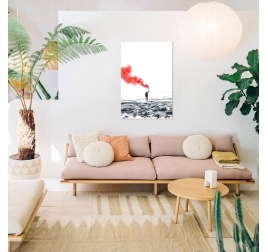 This artist photo is on a light background to light up your home. A touch of fashion and original with this map of the world. This frame is printed on aluminum for better quality. Several dimensions possible for this design frame. Worldwide shipping for this map on wall decoration.